... IF YOU CALL WHEN WE ARE ON A JOB SITE! Tree work is dangerous and it demands our full attention! For our safety and to do the job that our customers expect, we may not answer your call right away, but we will get back to you. If you send an email or leave a message by phone, we promise to get in touch with you at our next opportunity. 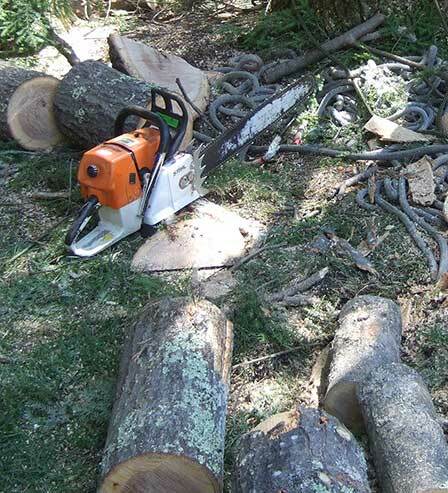 We will be happy to talk you about any TREE SOLUTIONS that you need. Our initial consultations and estimates are free.